I used MFT's Bundles of Blossoms for my background. Despite being so busy, it's actually very delicate so I throught an Adorable Elephant, coloured with Copics, would suit. 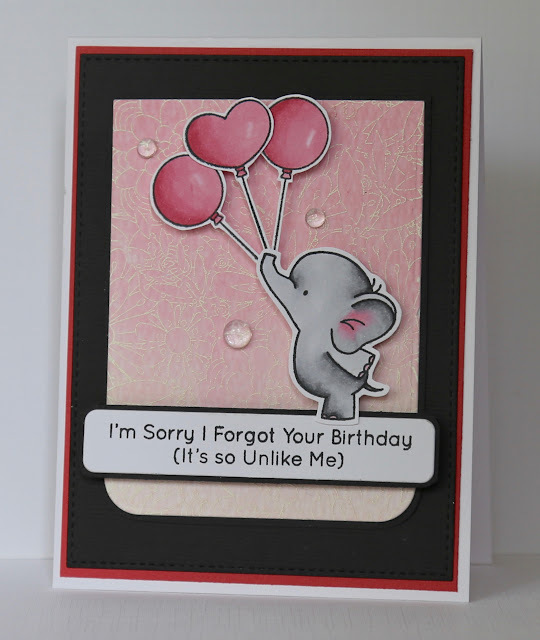 I used a pale pink watercolour wash - the die cuts are from MFT's Blueprints 24.